An ISBN serves the same purpose for a book as your name does for you- assigning an identity. ISBN stands for International Standard Book Number. This 13 digit number makes your book easily accessible in libraries and makes distribution hassle free. 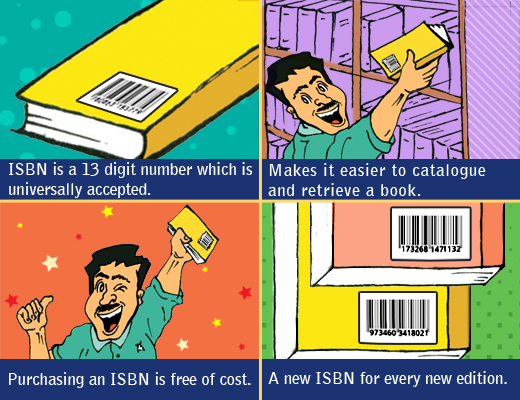 All you need to do is contact the ISBN issuing authority in India. It is not only free of cost but also gets you registered as an author/publisher with the International ISBN Agency. Since an ISBN assigns an identity to a book, every new book you wish to publish needs to have a different number. That means every edition of a book, whether paperback, hardcover, epub, mobi or pdf, needs to have a different ISBN assigned to it.